This is a photo of John Alcock's son Harold. 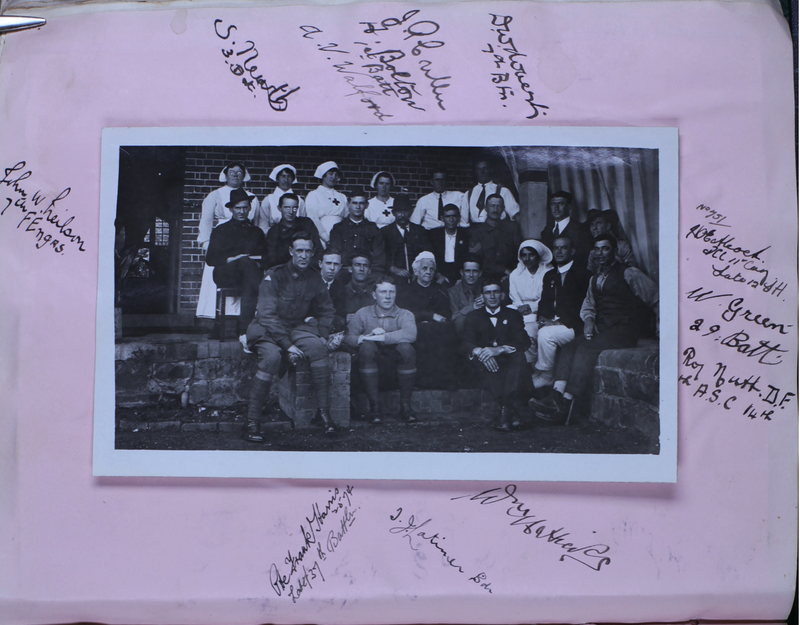 It was taken in 1918 at the Red Cross home of Booloominbah in Armidale, northern New South Wales after Harold was injured in Turkey when a camel fell on him. Ironically, this saved him from crossfire. Thanks to Mick Reed for the photo. The reference number is University of New England and Regional Archives (UNERA) A1473.2.109. Hi John. I am looking for Alcock relations, esp. in New Zealand. This is my story: My father told me there were Alcocks in the family tree but I cannot find any. My father Edward Alfred Walker was born 1902 at Walsall, Staffs; his father William was born there 1870, married Gertrude Lawrence; his father William b. 1846 married Eliza Dickens, his father George b. 1810 m. Jane Done. Are any of these surnames in your family tree? William and Gertrude emigrated to NZ in 1906 and their children remained in NZ all their lives. Hi Rob. Thanks for all the hard work you’ve put into this blog. As well as copying out the diaries (not always easy reading handwriting in old manuscripts) you obviously did lots of research and reading round some of the topics he covered. John sounds like a really interesting person, and this diary gives a good snap-shot on his life but his obituary shows that there was a lot more to him than even this diary shows.